On this President's Day, I'd like to share the full text of Abraham Lincoln's second inaugural address, given on March 4, 1865. What better way to commemorate President's Day than to contemplate this powerful and timely speech? Interesting fact: Three days before he was killed, which happened just weeks after giving this speech, Lincoln was awakened by a dream of his own death by assassination. On the occasion corresponding to this four years ago all thoughts were anxiously directed to an impending civil war. All dreaded it, all sought to avert it. While the inaugural address was being delivered from this place, devoted altogether to saving the Union without war, urgent agents were in the city seeking to destroy it without war--seeking to dissolve the Union and divide effects by negotiation. Both parties deprecated war, but one of them would make war rather than let the nation survive, and the other would accept war rather than let it perish, and the war came. 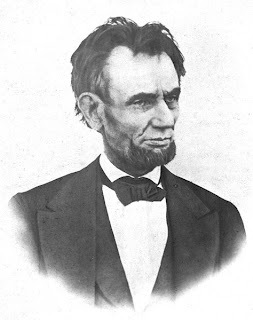 Photo: Last known photo of Lincoln, taken March 6, 1865.